Gregory Mattix: Extensis Vitae is now available! Extensis Vitae is now available! My first novel Extensis Vitae is on sale now at Amazon! 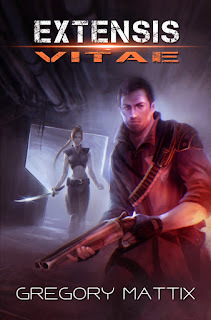 Extensis Vitae is a gritty, post-apocalyptic sci-fi action adventure. Michael Reznik is a soldier who wakes up in a mysterious underground bunker, with a technologically advanced body he doesn’t recognize. The people around him have cast aside fighting and warfare. They haven’t needed them—until now.